My internship with SFWP couldn't have come at a better time as we are about to put out two new releases on May 1. Wendy J. 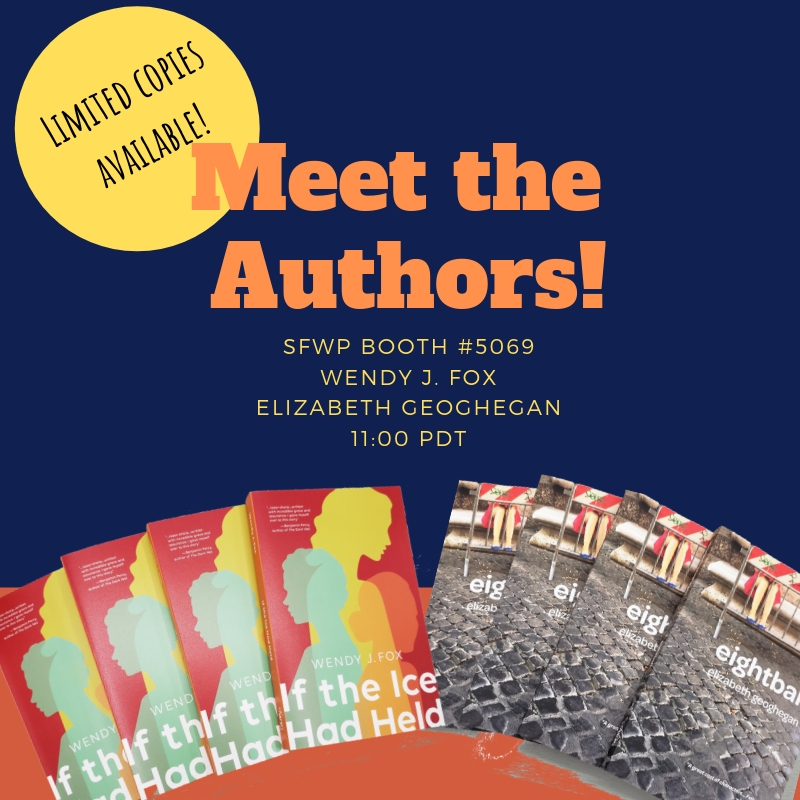 Fox's If the Ice Had Held and Elizabeth Geoghegan's eightball are currently in presale on Amazon and SFWP's website and we have been working hard to push both books. Given that SFWP is such a small team and there are only two spring releases I've had the opportunity to interact with both authors during the presale marketing process. 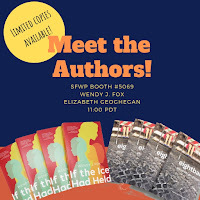 Both Wendy and Elizabeth are extremely active on social media and both just attended AWP where their books went out into the world for the first time (ARCs don't count!). The part of the process I did miss out on for their books was the initial editing phase and cover creation though I have to say, in my extremely humble opinion, that both books came out absolutely beautiful. My job has been to work with both authors to find the best outlets for marketing the book, getting shoutouts and early praise. Both books received positive Kirkus reviews and a heap of advanced praise. Wendy's book was included on BuzzFeed's 37 Amazing New Books To Add To Your Spring Reading List. I'll also be helping both authors find contests that they're eligible for. I'm also helping with the final go-through of the upcoming fall release, Dan Ford's Body Broker. I'll have the opportunity to do marketing for the book when we get closer to its release. Beyond that, I've had the chance to read a number of contest submissions which has been an interesting experience. I use Submittable for Dark Ink so I'm generally fine with being rather ruthless about turning down a submission because it's for my own magazine and I know exactly what I'm looking for. With the contest, I have to weigh out more factors. Is this something I think has wide appeal, or am I the only one who's ever going to like it? Does this author seem to have a voice of his/her own, or does it sound like something I've read before? It's a different way of approaching the writer in the process since these contest submissions are supposed to be blind. We have to judge the writer simply by what we get off the page in one reading. It's an interesting, and challenging process. Overall, this entire experience has been very enlightening, especially watching how each individual author has created a platform and markets their work. I also have enjoyed watching how they interact with Andrew. The relationships are very strong and very easy going, but Andrew isn't afraid to tell his authors what he needs from them to make their books a success. I'm looking forward to what's still to come in this internship!